Although Crum's massive muscle mass helps him inflict epic damage, it also means he needs to consume over 10 times the daily rations required by the average human dungeoneer. 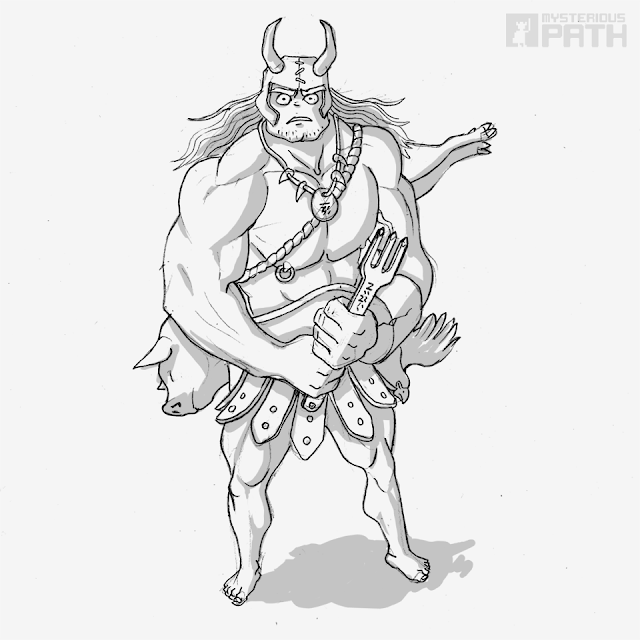 As a consequence 90% of his generous encumbrance allowance is made up of protein rich meat products. Dwarvish sausage is a favourite. Have now coloured Crum in.